One of my favorites from when I was in Jeddah, Saudi Arabia. 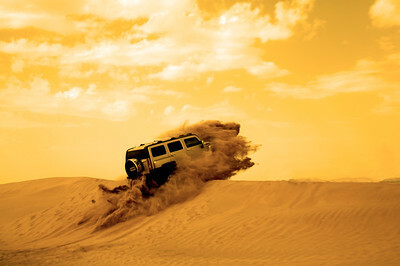 The Hummer took a beating when it first hit the dune and then upon landing on the other side but it made this shot possible. I actually had no idea he was going to go over the top but managed to spin around in time and snap it.